You can find us for the next three nights at the Banff Mountain Film Festival World Tour at the Wolf Performance Hall at the Central Library from 6pm - close. Breezer Doppler Team, equipped for adventures. What do riding everyday in the city and bike touring / bike packing have in common? They both allow you to use your own energy and bicycle to go somewhere amazing, while carrying your belongings with you! Bikes that are set up for touring and adventuring make fantastic everyday bikes, because when they’re not carrying your food, shelter, and clothes for camp, they’re capable vehicles for getting groceries, carrying your work clothes, lunch and laptop, and moving your kids, too! Plus they’re super fun to ride. This year our lineup includes several bikes that can take you “beyond the grocery store,” because some of the best family adventures can be had on a bike. We have a ton of experience in-store to help you get the right bike with the right setup for your adventure across the City, or across Canada! Let’s get started together. First, let’s start with bikes. This first bike in our Adventure Bike lineup is the Breezer Doppler series. It’s rare to find a bike that is so well suited to long-distance touring, and also perfectly equipped for everyday riding. It comes with full-coverage fenders, comfortable geometry, great aesthetic, and three configurations (Team, Pro, and Cafe) to get exactly what you need from your ride. I’ve put a couple thousand kilometers on my Doppler Team, and can say with certainty it’s the most fun I’ve had on any bike. The next part of a great Adventure Bike setup is accessories. A bike for touring is only as good as its ability to carry your stuff, and we have the right parts to help you do that. We feature Tubus Racks, Burley Trailers (for kids, cargo, and pets! ), and Ortlieb Waterproof Panniers that make up a best-in-class adventure trifecta. Want to get started on an adventure with the bike you already have? We’ve got you covered there, too. We stock a handful of these companies’ offerings, but have access to the whole catalog - don’t see exactly what you want? Chances are we can get it to you in a few days. Finally, the special sauce that helps you have some incredible adventures is our helpful knowledge and experience. Ben has a ton of experience with self-propelled adventures on bike, on ski, and on foot. He’s led and supported bike-based adventures through Banff and Jasper National parks, and spent enough time sleeping outside to know how to make your bike camp (almost) as comfortable as your bedroom at home. Our junior mechanic Evan is no slouch in this area, either. While he’s new-ish to bike touring, he’s a high-level certified canoe guide, and has tips and tricks for getting the most out of your bike camping setup. 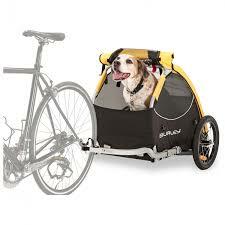 Plus he knows our bikes cold, and can get you set up on your own bike with creative solutions. Come see us this spring, and let us help you get started on your bike-supported journey to adventure! BONUS: we’re planning our first LBC-led overnight trip this summer - we haven’t sorted out all the details, but it is tentatively scheduled for August 17/18th, will be family-friendly, well-supported, and “in the neighbourhood” as far as distances are concerned. More details to come… look for an information session in mid-June.